In 'My Favorite Gospel Activity Book', a variety of puzzles, stories, colouring pages, connect-the-dots, and crafts introduce children or remind them about the gospels. The simple approach of the text will help them learn about Jesus' parables, the beatitudes, and other teachings; his miracles; and his life, death, and resurrection. Ages 7 - 10. 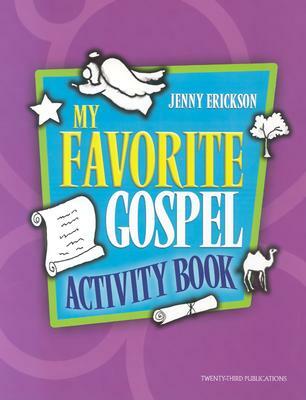 My Favorite Gospel Activity Book by Jenny Erickson was published by Twenty-third Publications in January 2004 and is our 63646th best seller. The ISBN for My Favorite Gospel Activity Book is 9781585953318. Be the first to review My Favorite Gospel Activity Book! Got a question? No problem! Just click here to ask us about My Favorite Gospel Activity Book.